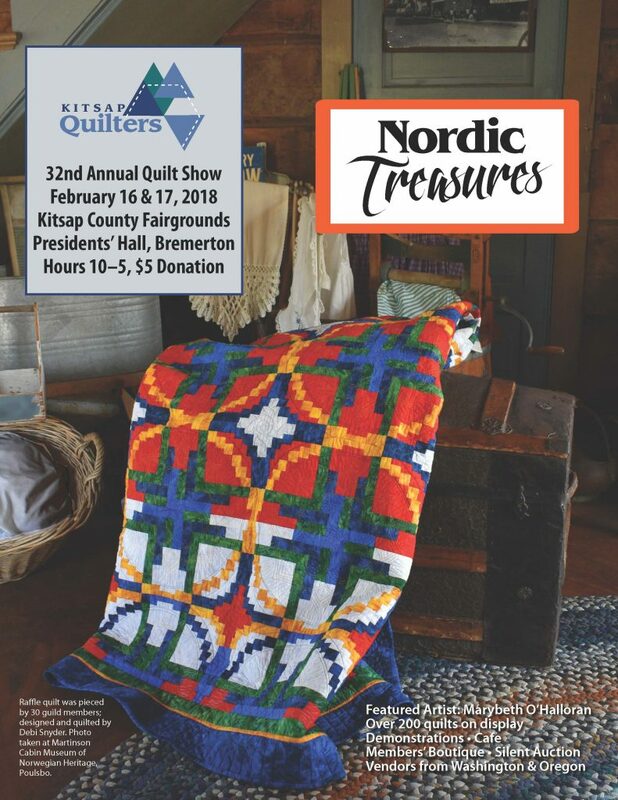 Please join us for our Kitsap Quilters’ Guild annual show this Friday and Saturday. We will be displaying over 200 quilts, enjoying a fantastic display by our talented featured artist Marybeth O’Halloran, shopping from our quilt store vendors, observing demonstrations of a variety of quilting techniques by our members, bidding on our silent auction baskets and more. We always put on a good show and would love to see you there.